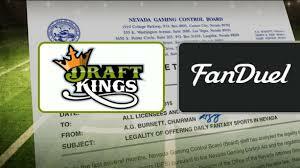 FanDuel and Draft Kings have changed the way people watch sports as the concept of 'team" has been redefined. The business model of fantasy sports, which has come to its own in the last few years, is typical of many. It is obvious it sat under our noses for years, it generates rewards for its participants, it is attached to a human vice and it generates profits for it's business owners. Government is now attacking the business model for many perceived noble reasons - IMO, the real reason for the uproar is that they (term used very generically) did not think of it first. Let's review some some issues where I will express my opinions. IMO, the federal government has no business making decisions about fantasy sports - the Republican presidential debates pointed out the hypocrisy (I can't speak much to hypocrisy as I am on too many issues). These "gambling" issues should be handled at the state or even at t0he city level. Technology allows this to happen pretty easily these days. Politicians are talking because its in vogue to talk about (the press is listening) and as a whole are jealous that they did not think of it first (IMO). It makes sense for Nevada to make it illegal because the state's industry is gambling. I trust that the Nevada legislature and the people of Nevada made that decision for themselves. Where it does not make sense, again IMO, is a place like New York where the distribution of vice is sold on an exclusive basis by state and local governments allowing 'vicey' forms of gambling to happen (OK, maybe New York is not alone in this). Schenectady is an example of this - I am amazed by how many people talk about the recent 'industrial town casino' decision all over the country - "stupid" seems to be the common phrase in the discussion and it's a bipartisan discussion. I don't fault the democrats of Schenectady - whoever was in office would have taken credit. This decision has already cost local jobs (GE's Alstom Power acquisition - you gotta read between the lines a bit so I will call this 'my opinion'). Oops, this is a different discussion - sorry. 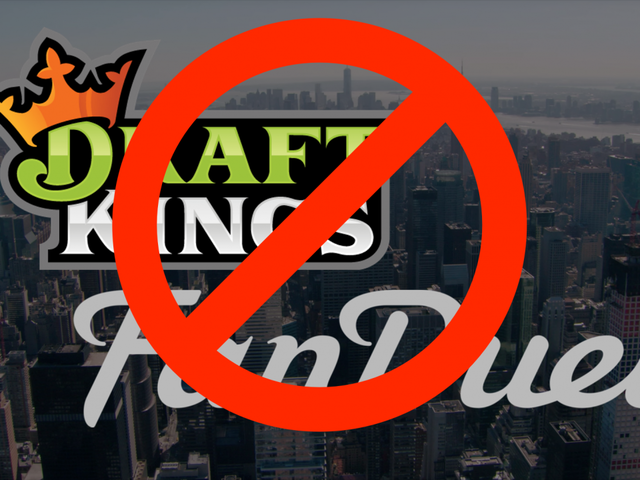 Oh yea, Fan Duel is illegal to play within New York State borders. In my opinion, the fantasy sports companies should self regulate. This could be done easily by "limiting the gamble" - no games over $10 and limit the total wagering to $50 a week - there are only two big players in the business. This would not be a big issue to the fantasy sports companies as their money is made at the $10 and under games. It would also take away to the perceived competition to state controlled gambling. Regretfully I don't influence the morals, or dictate policy or law, to either of these companies. Am I a Democrat or Republican? Your opinion will probably be based on whether you agree with me (I am in your political party) or disagree with me (I am one of them). In either case, I have 4 games going tomorrow and am fully in $5.